"Arise, shine, for your light has come, and the glory of the LORD shines over you. For look, darkness covers the earth, and total darkness the peoples; but the LORD will shine over you, and His glory will appear over you. Nations will come to your light, and kings to the brightness of your radiance. Raise your eyes and look around: they all gather and come to you; your sons will come from far away, and your daughters will be carried on the hip. Then you will see and be radiant, and your heart will tremble and rejoice, because the riches of the sea will become yours and the wealth of the nations will come to you" (Isaiah 60:1-5, Holman Christian Standard). Every Old Testament verse that is written involves a future promise, the deliverance of Israel and that of her Savior, the Messiah, who happens to be Jesus Christ. In this part of Isaiah, this seems to be a promise that the Lord's glory will come and be made manifest in Zion, Jerusalem's highest mount. He records that, "your light has come, and the glory of the LORD shines over you...the LORD will shine over you, and His glory will appear over you. Nations [come] to your light; kings to...your radiance...they all gather and come to you. Then you will see and be radiant." Radiant? Why? What's changed for Israel? Don't get me wrong, I love Israel. The food can be found to be exquisite. The land of the nation is prosperous. The people of Israel can be quite charming, even alluring. But radiant? God, in all His times past in dealing with His people has been angry over their sin, grievous even. And yet He's showing Isaiah here that His people will be radiant! And it's easy to see why, the Lord has appeared! He shines out and over the people! But look at this other thing, however, they come because of the fact Israel is more than simply restored. She is bright. She is made radiant. Resplendent. The light that the glory of the Lord brings is enough to make His people bright and blinding! She radiates a glow about her that everyone comes to her. When Jesus comes to His people, to give them more than just a hope and a future, by healing through the actions God allows Him, He gives a sermon. We find it in Matthew five. He tells all of us, not just the Jews this, but all. Notice the words here: "You are the salt of the earth. But if the salt loses its savor, how can it be made salty again? It is no longer good for anything, except to be thrown out and trampled by men" (verse 13). 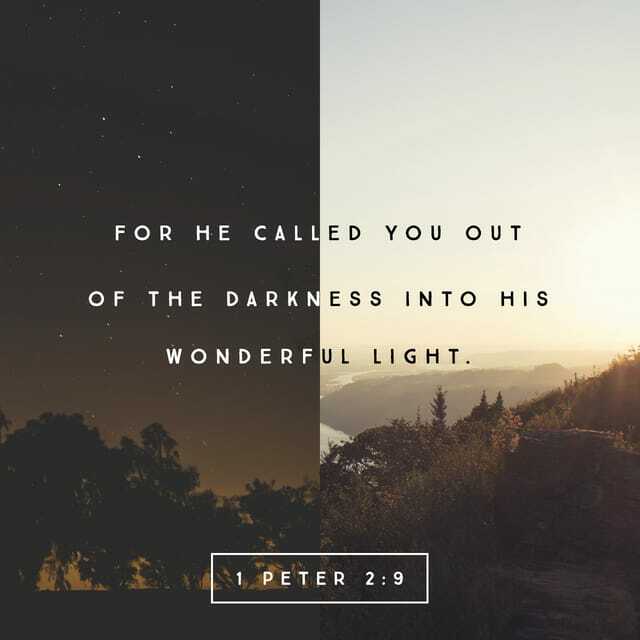 Then He says this, "You are the light of the world. A city on a hill cannot be hidden. Neither do people light a lamp and put it under a basket. Instead, they set it on a lamp stand, and it gives light to everyone in the house. In the same way, let your light shine before men, that they may see your good deeds and glorify your Father in heaven" (verses 14-16, Berean Study). Jesus is saying, as I can tell, "You are the light bearers of this world. The light you have been given is so that men see it, that they see your good deeds and glorify God, who is in heaven." Whoa! Did you see that? The Lord of glory and promise is telling these simple men, "You are...to bring glory to God in heaven!" So, if Jesus is the bridegroom, and the church He is founding is His church, then that means the Jews who are God's prized possession are as much the light as the rest of the church is. Wow! So, all the peoples who come to Jesus are doing so because this light He has given the people He is talking to give glory, honor, and thanks for all that God, the Father does. Paul, one of Christ's servants of the faith, said this: "For we do not proclaim ourselves, but Jesus Christ as Lord, and ourselves as your servants for Jesus' sake. For God, who said, 'Let light shine out of darkness,' made His light shine in our hearts to give us the light of the knowledge of the glory of God in the face of Jesus Christ" (2 Corinthians 4:5-6, Berean Study). And this is the same man, who before had once persecuted and hunted down Christians to kill them! Paul says in another letter: "Husbands, love your wives, just as Christ loved the church and gave Himself up for her to sanctify her, cleansing her by the washing with water through the word, and to present her to Himself as a glorious church, without stain or wrinkle or any such blemish, but holy and blameless" (Ephesians 5:25-27). It therefore stands to reason, to me, that "the glory of the Lord that shines over you" is a promise of God's provision of the church and Israel has a part of it. Israel was promised, by God, that through one of his sons a savior would come. And just like his father before him, Isaac, was given the same promise. And just like Isaac's father before him, Abraham, obeyed the voice of God and by his faith in the Almighty God, Israel was blessed. This blessing manifested itself by the coming of a humble servant, to the point of death, nailing our sins with Himself on the cross and there He died making atonement on our behalf. With His blood we are cleansed no longer guilty or bound to sin in death! The promise God was giving to His people wasn't just that He was sending His people His Son, Jesus Christ, but that His people would be part of something much bigger, much greater than themselves. They are a part of the church. Notice the men who followed Christ: Peter, Andrew--brother of Peter, John and James--the sons of Zebedee, Philip, Thomas, Judas (not Iscariot), Thaddeus, Bartholomew, and another Simon--half-brother of Jesus and brother to Thaddeus, and a little later, Matthias--who replaced Judas Iscariot. All these men were more than simple fishermen. They were every bit as much Jewish as Jesus was Himself. From these men, according to the Spirit God poured out on them, the church Christ was instituting, was to be born. It means even those not of the Jewish faith--being Gentile--would also be a part of this church. The whole point is that if salvation comes from and by the Jews, and we who are also called are a part of His church, we have a mission to uphold. We are that light that gives glory to God in the highest heaven! His Son, Jesus Christ, is the head of this church we are a part of. But before I forget the one thing I wanted to say is that wives are a part of this as well. Men, you who are called to wash and make your wives shine as much as the Lord washes and keeps you without stain, allow your wives to shine as well. Make sure they are the leading ladies in their own ways. We have a right to our wives to allow them the right to shine where they are so that Christ is glorified. And if Christ is glorified so are we! I pray this moves and shows you the compassion I have for all. I pray it in the matchless and loving name of our Savior, Jesus Christ. Amen.